*** UPDATE 8/5/2018 from Stowaway.com *** WE’RE SORRY, BUT OUR CURRENT ALLOTMENT OF FREE SAMPLES ARE ALL GONE! WE’RE HOPING TO MAKE SOME MORE AVAILABLE SOON, IN THE MEANTIME, PLEASE TAKE A LOOK AT WHAT STOWAWAY HAS TO OFFER, WHY WE’RE DIFFERENT, OR TAKE ADVANTAGE OF OUR SPECIAL OFFER FOR REFERRALS! 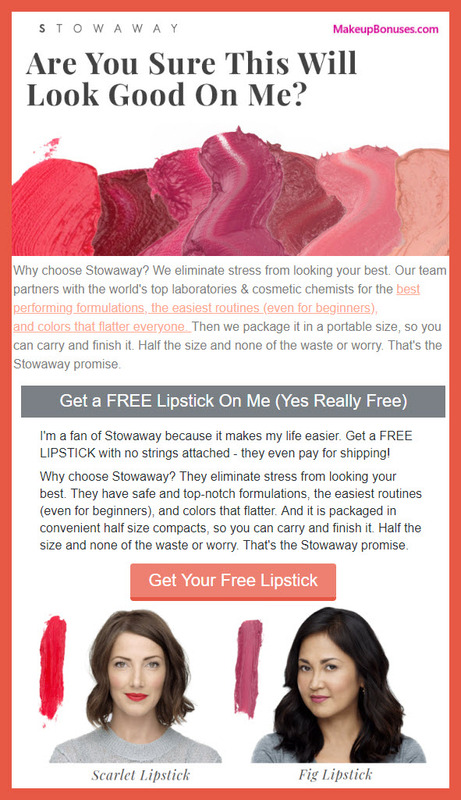 While supplies last, receive a free Lipstick sample from Stowaway Cosmetics! 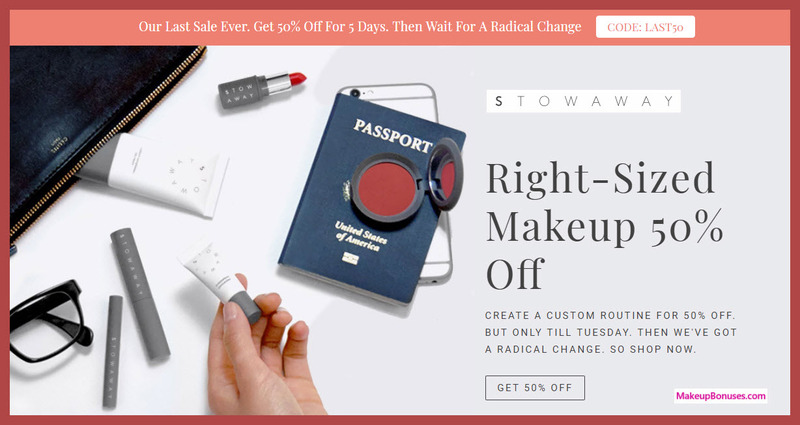 Stowaway Cosmetics is for busy women and designed to be finished before expiring. It’s life made EASIER with right-size cosmetics that can go with you. Purse friendly. 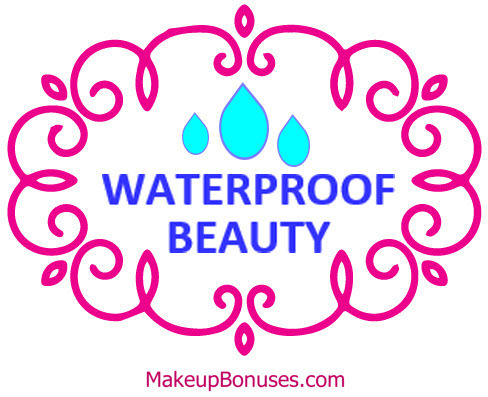 Paraben, phthalate, gluten, & cruelty-free. Mostly vegan & EU compliant. Makeup you love in sizes you can carry & finish. Beautiful anywhere. ABOUT THIS FREEBIE: Stowaway’s highly pigmented, long-wearing cream lipstick delivers smooth color that works as hard as you do. It’s full of nourishing ingredients that keep your lips hydrated even on the longest day. PLUS, it’s small enough to go where you go and one swipe provides super opaque color! See below for full details on how to receive your free choice of lipstick! 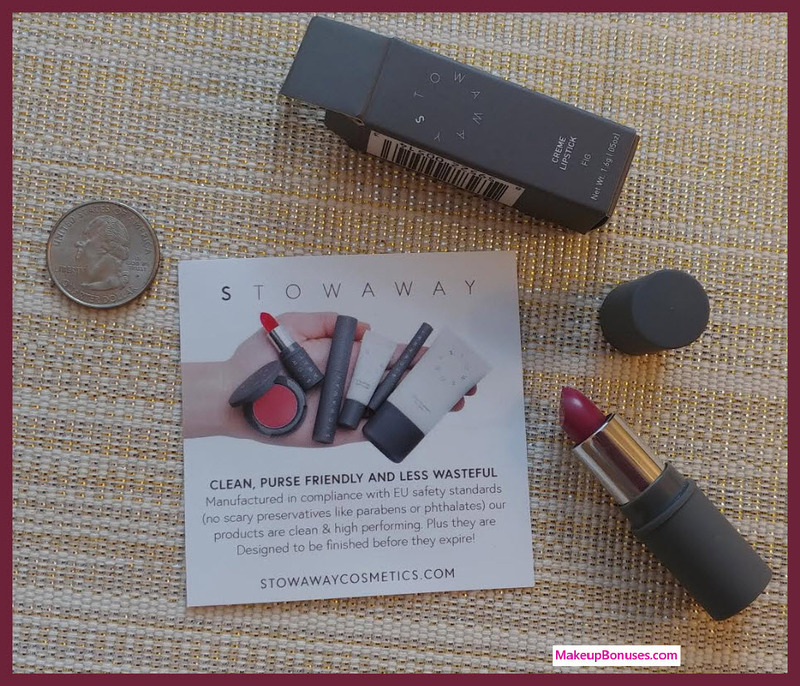 Stowaway Cosmetics is giving away free samples of lipstick that is available in 8 shades (this freebie is your choice of SCARLET or FIG shades). Use promo code REFER86322 at checkout to get your lipstick for FREE! UPDATE: I received the freebie less than 2 weeks after ordering it! It’s a great smelling (and tasting) portable lipstick in a rich shade (shade FIG). Quarter included for scale. 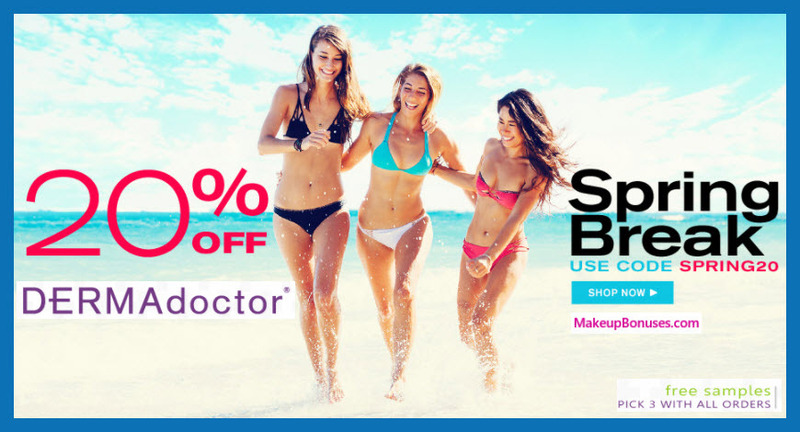 Browse more promotional offers from Stowaway Cosmetics. 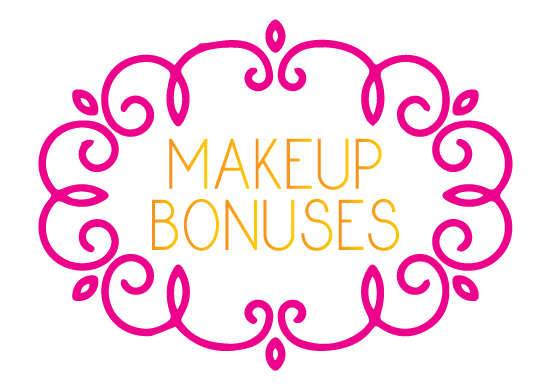 New Beauty Discount Offers at 26 Stores!